STATE COLLEGE, Pa. - A former defensive coordinator who was integral for decades to Penn State's success in football was accused Saturday of sexually abusing eight boys, and the school's athletic director and an administrator were charged with perjury and failing to report what they knew about the allegations in a case that prosecutors said uncovered a years-long trail of a predator and those who protected him. As stunning as the charges were the names implicated at a school where the football program is known for its consistency as much as its success  a big change this year was the removal of white trim from players' uniforms. Curley denied that the assistant had reported anything of a sexual nature, calling it "merely `horsing around,"' the 23-page grand jury report said. Spanier released a statement calling the allegations against Sandusky "troubling" and adding Curley and Schultz had his unconditional support. "I have known and worked daily with Tim and Gary for more than 16 years," he said. "I have complete confidence in how they handled the allegations about a former university employee." 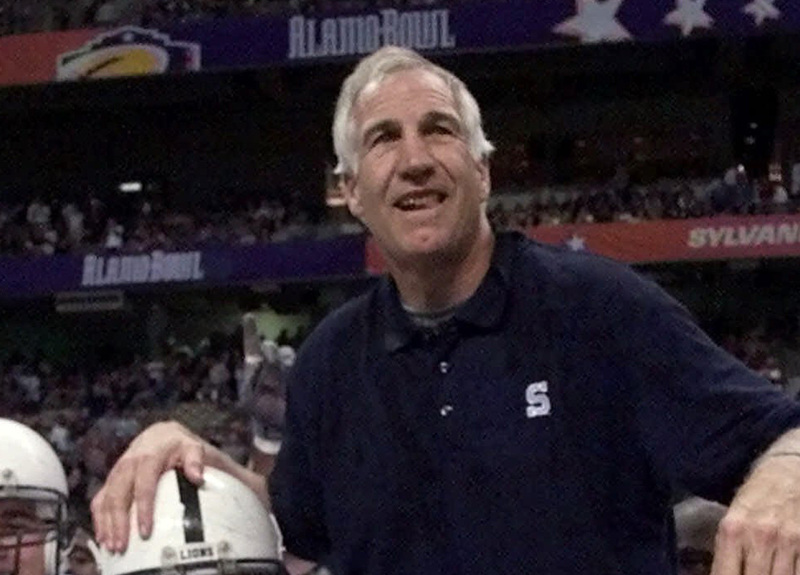 Sandusky, once considered a potential successor to Paterno, drew up the defenses for the Nittany Lions' national-title teams in 1982 and 1986. The team is enjoying another successful run this season; at 8-1, Penn State is ranked No. 16 in the AP Top 25 and is the last undefeated squad in Big Ten play. The Nittany Lions were off Saturday.